A diagnostic tool that allows us to see under fillings and in between teeth. They are vital for treatment planning. 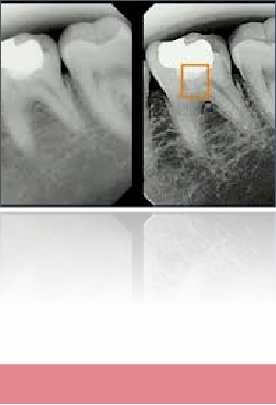 Aldershot Dental Centre uses digital radiographs (x-rays). Digital x-rays can use lower radiation doses. Our digital system uses phospor plate technology. This means the sensor part that is placed in the mouth (like a film) is less intrusive in size. Digital x-rays can be enhanced to provide more clearer information.